From the upcoming National Geographic book The Image Collection, due fall 2009. Shop for other photography books from National Geographic. via Science Lab Photo, Antarctica Picture â€“ National Geographic Photo of the Day. 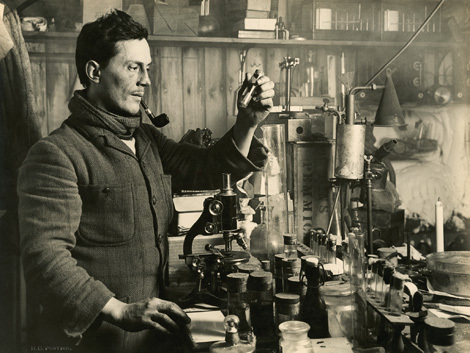 Ah, the good ol’ days when science required a pipe. I want that book a little bit. Tiki, what about a thumbs up/down feature for I-D?